Assalamualaikum and good day everybody! We are in the October month and my daughter is now 10 months old! OMG! What? I still can’t believe it. She’s turning 1 in about 2 months time! I still have not planned her 1st birthday party yet, the theme, cakes, venue. OMG! Haha. Just see how cute is this straw cup? 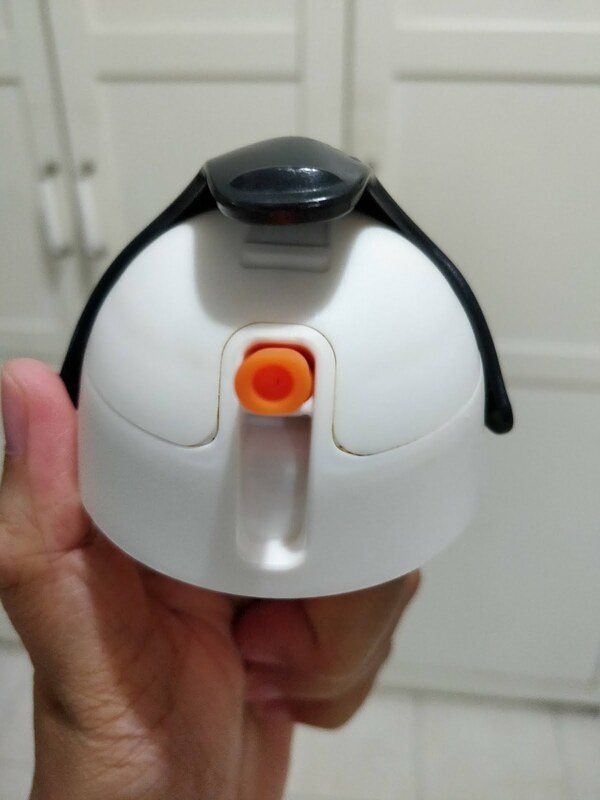 It looks exactly like a penguin, right? My daughter is now liking this cup as her meal time drink. At one time she begin to get attached to it. My daughter she really likes drinking plain water. I know it is not good to give a lot of plain water to the baby as it does not have any nutrients in it compared to breastmilk / formula milk so that is why i only give her plain water during meal time and that she would still be drinking her milk after meal time. So, that was when she’ll meet this cute penguin. What is super special about this U-Cool Pendulum Straw Cup by Umee? First of all, i really like the pendulum as it gives a 360 degree of drinking experience to the baby. As most straw cups are having a straight straw, this one can actually follows the direction of wherever the baby holds the cup. The pendulum will follows the direction and will prevent from leakage as well. With its BPA Free plastics, you should not be worry about any harmful chemicals harming your child. I would advise every parents to read the label at the back of the packaging for further understanding of this straw cup. But i will share with you my experience while using this cup to my daughter. I have never use this cup unless it is during her meal time and it has always been plain water all the way. Maybe when she’s a bit older, i’ll introduce some juices to her using this cup. 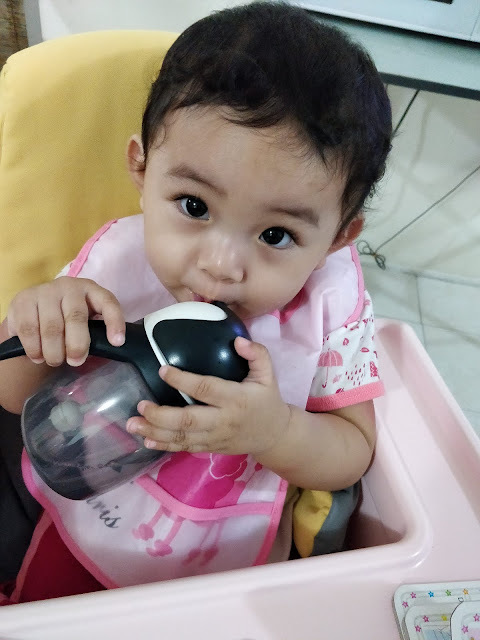 So far, she’s been loving it and i could see that she never had any problems with swallowing the amount of water sipped as it is being controlled by the pendulum because the pendulum will always fall towards the bottom of the bottle due to gravity even if she tilt left or right. There's an additional prevention where the pendulum will not collapse on itself, this further prevents her from getting the bad habit of drinking water while lying on the back. 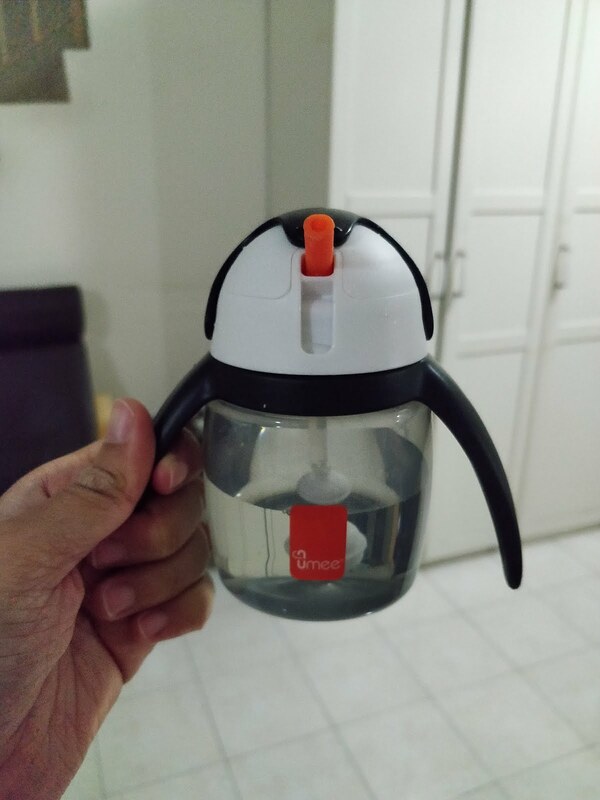 This super cute straw cup is 240ml. They do have bigger cup of 360ml. Since my baby is still 10 months old, she’ll drink more milk than other drinks so 240ml is sufficient. The pendulum can be taken out, just to leave the straw when you feel like it it no longer needed. But to me, this pendulum really makes a difference in terms of how the baby sips the drink. This not just making this cup to be drinkable in 360 degree, i can foresee that it could also help with the flow of the water while sipping it so that it won’t overflow. 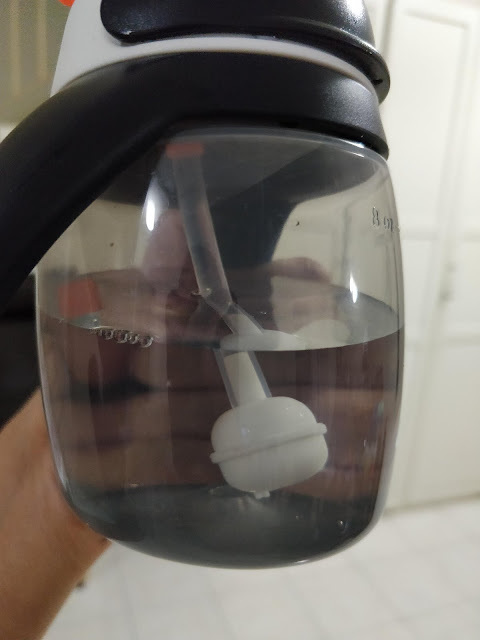 The handle is easy for hold on to as the plastic is a bit texturized so it won’t slipped so easily. The opening of the handle is also just nice for a baby to hold. Just look at how Marissa holds it in below picture. With this angle, she can still drink the plain water without any spill. As she has become too attached to her sippy cup, she will only eat her meal with the cup beside her. This little monster loves plain water so much (just like mummy! haha) so we have to standby a cup during meal time. "Do not place product in heated oven. To ensure the product's hygiene, place all parts (except the Cap) in boiling water for 5 minutes before first use." 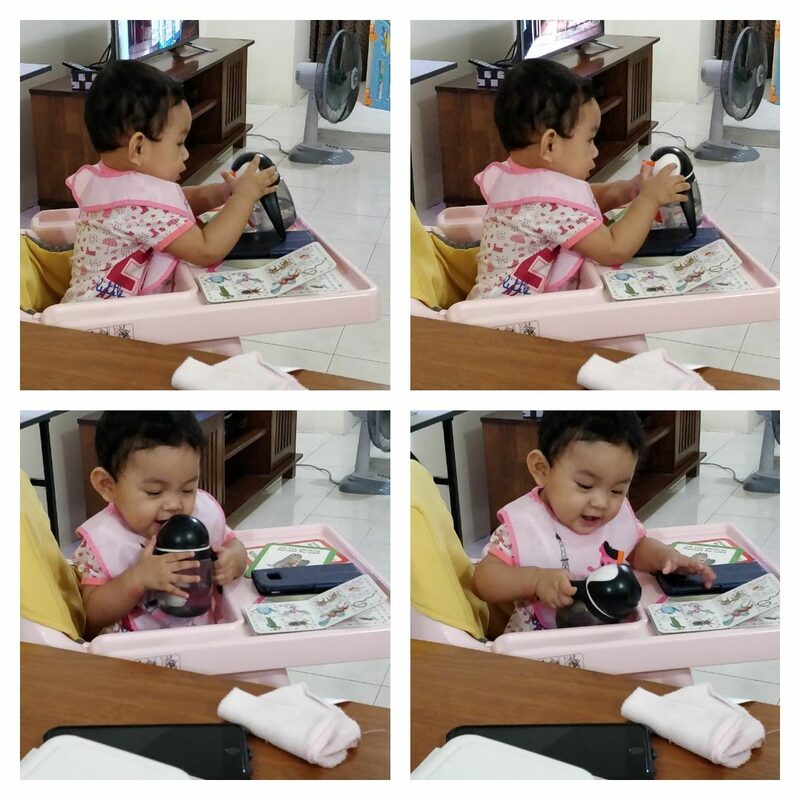 So far, just look at the reaction of this little monster when it comes to drinking water with her favorite penguin cup. Haha. It looks like she’s actually talking to the penguin, right? 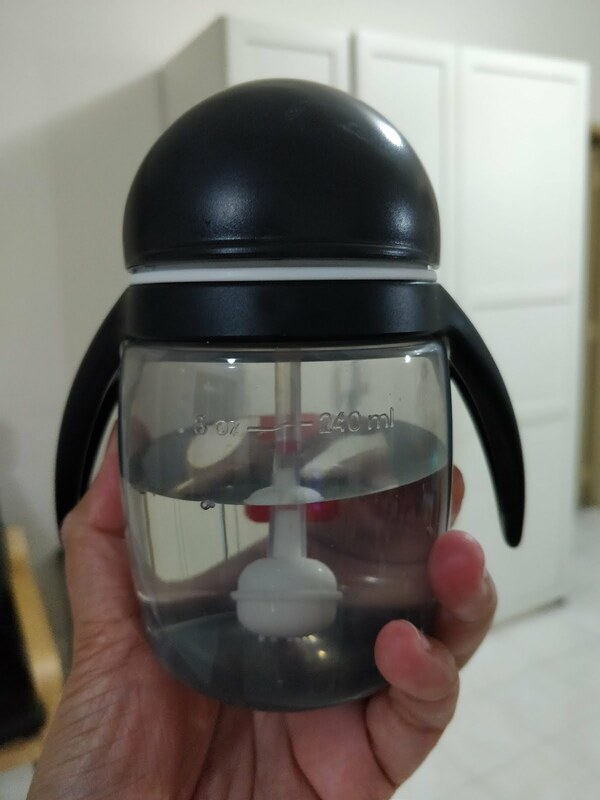 And search for U-Cool Pendulum Cup 240ml.The 360ml does not have a pendulum so make sure you’ll get the 240ml ya. The price is RM 55.90.